During the 19th century villages such as Youlgrave instigated methods of providing drinkable water for domestic use to points where it could be distributed. These schemes over the years, in most cases, were superseded by larger water companies and then by national bodies formed after the Second World War. Youlgrave, unlike many small villages, has retained its own waterworks. Prior to the founding of the waterworks, water was drawn from the River Bradford and a number of wells, which were situated on the village (north) side of the river. Much of the sickness and many of the deaths occurring amongst children during the fever months of July and August were thought to have been the result of contamination when river levels were low. The initiative for forming the waterworks came mainly from the Friendly Society of Women founded in 1827. A fund was set up by the society to meet the cost. Benjamin Staley, a local man, was employed as surveyor. He produced a scheme to bring water from a spring at Mawstone on the hillside south of the village and the Bradford Dale. 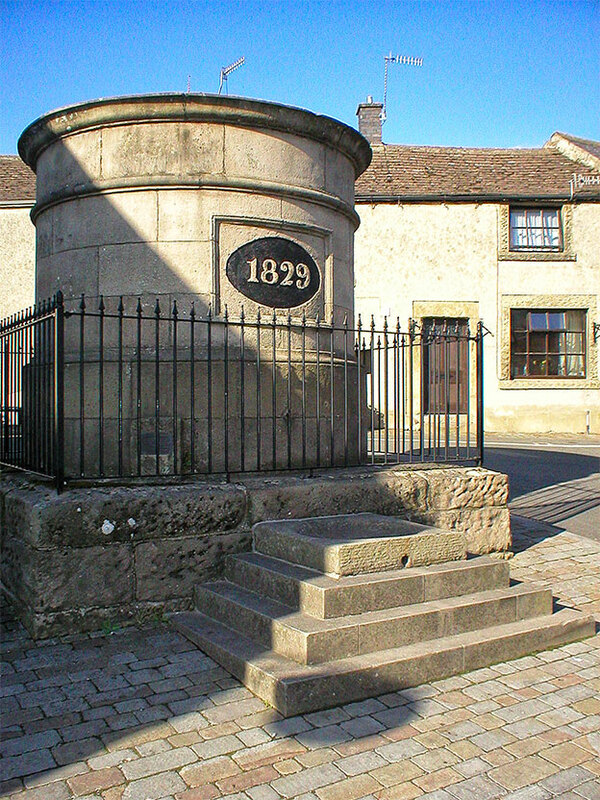 The water was piped from the spring to a cistern with a capacity of 1,500 gallons situated in the centre of the village via a two-inch diameter cast-iron pipe; this was a distance of about 1100 yards from the spring, at a cost of £252.13 shillings and 10 pence halfpenny. The cistern, known locally as the fountain, filled up overnight. A waterkeeper paid by the committee unlocked the tap at six o’clock each morning. By 1869 corrosion and furring up of the two-inch pipe to the cistern seriously restricted the water supply. The committee raised subscriptions to finance the connection of an additional spring from Bleakley, renew pipe work to the cistern and provide mains in the village to supply ten taps, known locally as tap spots. Each able bodied man was requested to pay for three days’ labour or work for three days on the project. The scheme was finished in November 1869 at a cost of £381. A day of celebration was held in the village and the ancient custom of well dressing was revived and continues to this day. By 1926 heavier demand and lack of pressure to the higher levels of the village compelled the Waterworks Committee to consider upgrading the system once again. The present day Waterworks is managed by a Board of 12 Directors who are dedicated to preserve the village supply. Much of the old infrastructure has been replaced and brought up to modern day standards whilst improvements remain ongoing. The Board are presently completing the replacement of the water treatment plant as well as having other projects (excuse the pun) in the pipeline. Youlgrave Water currently extracts 22million gallons annually from Bleakley Spring and serves 500 households and businesses in the village. This level was set 35 years ago. Youlgrave Water is a non-profit making company Limited by Guarantee -Registered No. 3156766. Directors do not receive fees or salaries and is run solely for the benefit of its members – each property supplied in the village. Board meetings are usually held every third Monday in the month at the Reading Room at 7.30pm. All are welcome.